We're talking to Africa Board Fellowship (ABF) alumni to share their experiences dealing with deteriorating macroeconomic conditions. The following is part of a blog series spotlighting the perspectives and experiences of CEOs and board members of financial institutions, as well as industry experts, who have participated in CFI’s Africa Board Fellowship program. We’re talking to Africa Board Fellowship (ABF) alumni to share their experiences dealing with deteriorating macroeconomic conditions. ABF alumnus Deji Fisho, Board Member of Fortis Microfinance Bank in Nigeria, provides insights into the implications for FSPs on the 2016 decision by the Central Bank of Nigeria to allow the exchange rate for the Naira to be market driven. It affects a microfinance bank’s exposure to dollar loans. When the currency devalues, MFIs have to spend three times more Naira to keep money in dollars. But with the oil market crash, there weren’t even enough dollars coming in for repayments, so people have to go outside the bank to the black market to get dollars. In a currency devaluation situation like this, MFIs won’t have money to lend. The bigger banks borrow from the government and the smaller banks borrow from the bigger banks. So there is no trickle down to MFIs if the larger banks don’t have the cash. Learn more in Deji’s full interview. Some of our clients are traders, so they buy goods from Democratic Republic of Congo, South Africa and Tanzania. Devaluation meant that our clients had limited foreign currency to meet their business needs, resulting in default. After the fluctuations, we revised our risk appetite statement to ensure that it is aligned with prevailing market conditions. For instance, the board made a decision that we should not contract any foreign currency denominated loans. Additionally, we reviewed our risk concentration to ensure we do not have too much focus on any one region or industry. For example, we are shifting some of our focus away from traders in the mine areas to smallholder farmers. Read more in Nkosilathi’s full interview. Regulators can sometimes respond to macroeconomic problems by imposing regulations designed to keep risks out of the financial sector. One response is to impose higher minimum capital requirements or higher reserve requirements. These may sometimes be imposed directly after a collapse of a similar type of financial entity due to a sudden bank run. Such restrictions can be debilitating for financial institutions, especially when they are imposed suddenly. Although meant to protect depositors, this type of regulation can push smaller FSPs out of the market. In 2017, Mozambique recently faced challenges arising from multiple factors: political tensions and violent clashes, a debt scandal that resulted in the suspension of aid from key donors and endemic corruption. This affected macroeconomic variables, with a significant currency devaluation in 2016 and high inflation (15 percent) in 2017. These tough macroeconomic conditions led regulators to impose a higher minimum capital requirement on financial institutions. ABF Fellow Titos Macie, Socremo Board Chair, discusses the impact of that increase on the institution. The deteriorating macroeconomic fundamentals, along with the non-performance of two major banks (one liquidated and one placed under the central bank administration), caused the central bank to increase minimum capital requirements. Initially, the central bank had indicated that the new capitalization requirements would be 500 million meticais, an increase from MZM 70 million, so the board made plans to meet that requirement within three years by not paying out shareholder dividends [and using] share premium and retained earnings to capitalize the bank. When the official decree was actually issued by the central bank, the capitalization requirement was much higher: MZM 1.7 billion (US $26 million). Facing this requirement, the board had little room for maneuver. It took a decision to downgrade Socremo from a full commercial banking license to a micro bank license. Socremo can still do almost all financial services, except for forex business. Titos’ full interview includes a discussion of the impact of currency devaluation on its clients. Accion discusses its recent investment in Socremo here. Titos sums up how many FSPs operating in challenging macroeconomic and regulatory environments feel: We are surviving and looking at a better future. 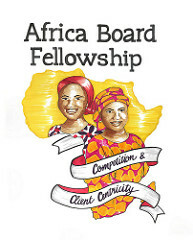 CFI is currently recruiting fellows for the next cohort of the Africa Board Fellowship program. If you or someone you know is a board member or executive at an Africa-based MFI or financial service provider, we recommend considering this opportunity.